If you are a fan of the highlight and contour trend then you may like what I'm about to share with you. If you're over this trend...I'M SO SORRY. Here is another post and brand that is catering to this trend. Months back I was sent an unexpected package from +Pur Cosmetics I was like WTWIT #WhatTheWhatIsThis ... I knew I didn't order anything. I opened the package and literally screamed "SHUT THE FRONT DOOR AND OPEN THE BACK DOOR!!!" It also came with a information package which is a perk for bloggers like myself. The Cameo Contour Stick is a (.05 OZ) Dual Ended foundation that comes with a end for contouring and a end for highlighting. This dual-ended contour stick glides onto the skin as a cream finish drying to a powder finish with PÜR’s own Ceretin® Complex—a proprietary blend of hydrating ceramides and age-defying vitamin A. 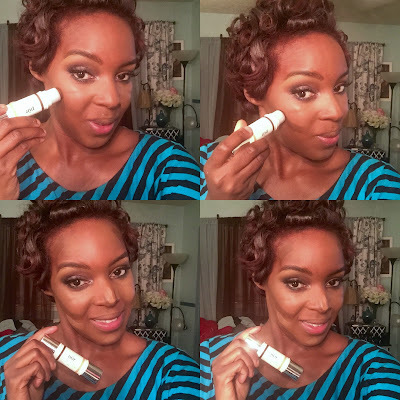 This dual-ended contour stick is great beauty tool for those that’s just entering into the world of highlighting and contouring and need a little assistance. It’s a two step system that’s not complicated to understand and eases the mind of the newbie. As I mentioned before this product is a cream to powder formulation making it easier for anyone to use. And the plus side of this is PUR eased the mind of the newbie by including a beauty sponge to buff off the product into the skin! 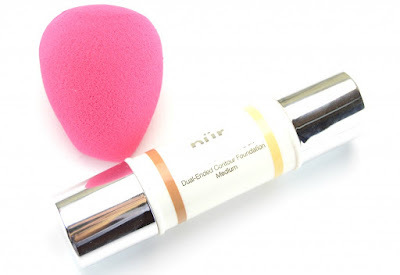 Me personally I use a small blush brush to blend out but when I use the sponge of course it’s better to use it damp then dry but I personally feel like the finish changes and doesn’t blend out as well with a damp sponge because its a cream to powder finish. which normally when blending out powder with something that is wet it blends out blotchy. 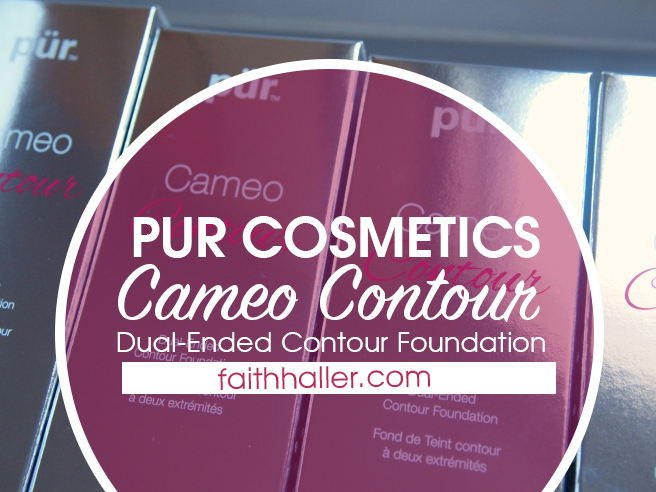 **TIP** If you apply the PÜR Cosmetics Cameo Stick first blend it out a little then apply you complexion foundation our will get a more natural effect. You will see the dimensions but only as that dimensions not harsh choppy lines. It will blend effortlessly together.. Depending on the look I am going for sometimes I apply the Cameo Stick after foundation and that’s mainly for night looks or in a setting with tons of lighting where you would need dimension. Like a photoshoot. I applied the Cameo Stick after the foundation to give more depth so when the photographer took the photos her skin wouldn’t get lost. Sometimes you have to over compensate because lighting can flush you out and make you look flat. So the PROS about this product is you can control how natural and how dramatic you would want you look to be. The CON of this product is that it can be too chunky for the facial features. If they made the stick ergonomically friendly for the face and less chunky for the everyday woman this would be perfect. I can manage because I am a makeup artist by trade but it’s not as efficient as it could be. Have you tried this product? What are your thoughts? If you haven’t tried it do you feel this is something you could see yourself investing in and using?